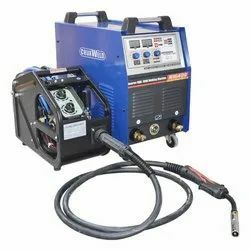 We are offering MIG / MAG (Co2) Welding Machine. These products having excellent reliability with high performance low Power consumption. Saves electric energy suitable for out-door, on site use. With remote control facility fitted with AMP meter / voltage meter. Available in half control (3 Phase) and fully control (6 Phase). Pioneer in the industry, we are engaged in trading and supplying an impeccable range of MIG Welding Machine. - Used for a wide range of applications in transportation, railroad, steel, appliances and metal production. With a focus on the ever-evolving demands of our customers, we trade a wide range of MIG Welding Machine. Star Electrical And Mechanical Co. PRODUCT DESCRIPTION Adopting IGBT invertor technology, Easy Arc-Starting, Reliable and stable performance. Driven by a vision to achieve significant growth in this industry, we are providing a premium quality array of MIG Welding Machine. 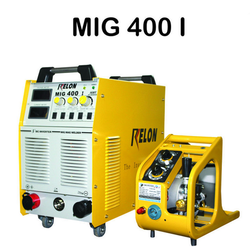 A vast gamut of Conventional MIG / MAG Pulsed Arc Welding Machines is being offered by us. These are used in a protective gas atmosphere, between a fusible wire and the material to be welded. Moreover, these have excellent productivity, high penetration and zero need of waste removal. These can be used in manufacturing as well as repair work.